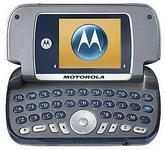 You can buy the Motorola A630 with T-Mobile service for just $99.99 through WireFly. Motorola today introduced the Motorola A630 at an exclusive party in New York City on the rooftop of Hotel Gansevoort (pictures from the party). 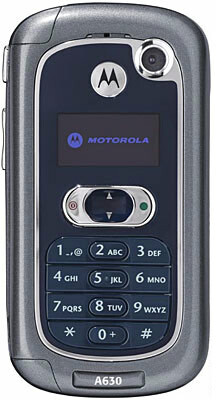 It's a camera phone that the company hopes will help boost the Motorola brand image, analyst are upbeat . The main feature of the A630 is a fold-out keyboard (the phone folds out in half, see photos). 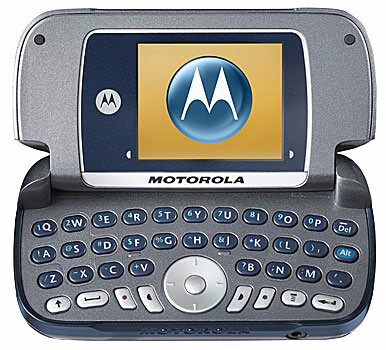 Other known features are: * Integrated VGA digital camera * Bluetooth * MP3 ringtones * Speakerphone * 176 x 220 65,000 color display * Weighs just 3.5 ounces The Motorola A630 is a Cingular Wireless exclusive at launch--expect to pay $200 to $300. We should see it this summer. Update: Om Malik gives a mini review (he loves it). Click on thumbnail to enlarge image. An additional image follows below.